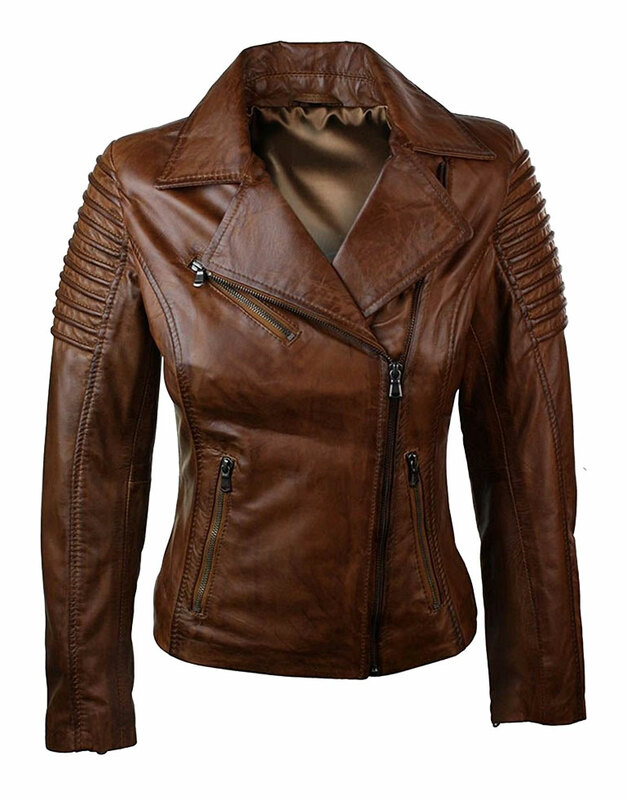 XtremeJackets Women’s Slim Fit Brown Leather Motorcycle Jacket is made of high-quality genuine soft leather features an asymmetric zip fastening with zipper pockets that protect your valuables from falling. I’m impressed with the high quality leather for this price. Leather is very soft and the jacket fits very well. I would recommend this to anyone.